Lecture hall acoustics are an important consideration because they help create an environment that is conducive to study. If you want to maximize learning on campus, you need to take all factors into consideration, especially those which directly impact the environment where the learning is taking place. While some students do work well with some background noise, nobody can concentrate on what a professor is saying if they literally can’t hear a word. Creating optimal classroom acoustics starts with location and building materials, and extends through HVAC and furniture. While you may not have the luxury of controlling all of these factors, you can still do your best to create an optimal learning space with the best acoustics possible. There are so many things that make up the big picture of classroom acoustics, and a lot of them might not be in your control. First of all, geographic location can have a huge impact on how much peripheral noise there is. For example, if the school is next to a train station, airport, or busy street, there will be frequent loud noises coming from outside. The way the building was built will also have an effect on acoustics in each classroom, lecture hall, and study space. If there is not good insulation between classrooms, students in one room might hear the buzz of learning taking place in adjacent spaces. This also holds true for noises from outside. If a building does not have proper windows and walls, the noise from outside can be quite distracting, even if the building is not on a particularly busy street. Why do classroom acoustics matter? Obviously, students can’t learn if they can’t hear what is going on in the class. However, even if there are low levels of noise coming from inside or outside the classroom, this can still have a negative impact on learning outcomes. Too much background noise can have a negative impact on focus, reading, and note taking. Additionally, noise can make it difficult for the professor to concentrate, which will negatively impact the quality of their teaching. 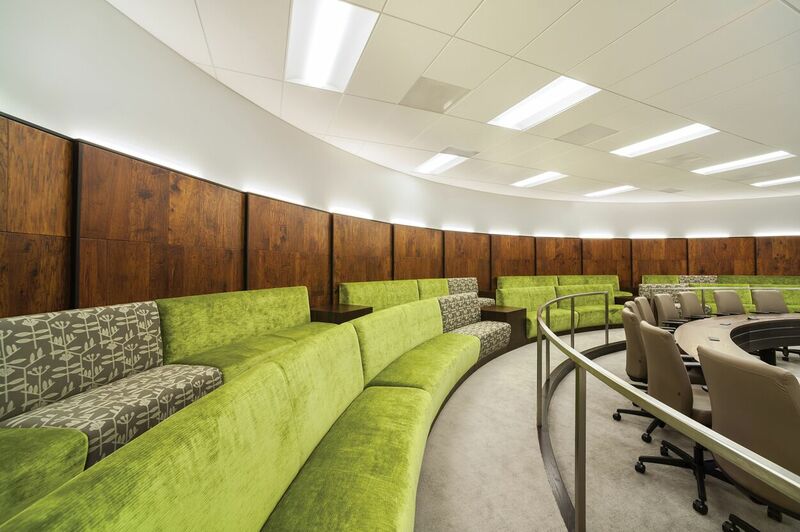 What acoustical considerations are important in a modern learning space? With the rise of collaboration and hands-on work comes an increase in noise within the learning space. With this in mind, it is easy to understand how one group can become quickly distracted by another group working nearby. Acoustic panels for classrooms are a creative way to minimize distraction during small-group learning or team collaboration. The panels absorb noise to minimize distractions, so each group can focus on the task at hand. The panels can be permanent or mobile, for more flexible applications. Room dividers with sound absorption serve the double purpose of dividing up a space, and creating less distracting learning areas. Acoustics matter everywhere! In learning areas especially, acoustics will change the quality of the teaching and learning. It’s not only about traditional study spaces. With more open-plan media centers, and study lounge nooks in the hallways and classrooms, virtually every space on your campus becomes a potential study area. That means that you need to be thinking about acoustics in throughout the school. Proper lecture hall acoustics can transform the quality of the education that our college students are receiving. By limiting audio distractions, we allow professors to teach better, and students to learn better. There is no reason not to try to improve study space and classroom acoustics. We owe it to our students to do everything we can to help them gain as much as possible from higher education.